Information about our server, upcoming maintenance, etc. Latest changes and bug fixes. How To. Guides. Problem solutions. Punishments for violating server rules. Found some bug? Report it here. Recruit, get recruited, create alliances and discuss clans here. Want to sell, buy or trade? 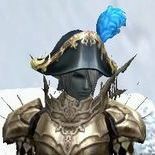 Need help with something related to Lineage 2? Post your question here. Do not use this subforum for bug reports! Discussions about what we could improve. Discussion about anything related to L2 Shrine. Videos and pictures from L2 Shrine. Discussions about anything that doesn't relate to L2 Shrine. Advertising other servers is strictly forbidden. Trash talk allowed. Je to +6. Enchanty seal nerusi, muzes udelat rukavice na +6 a pak je unsealnout. dual sword craft stamp je jen v hradu. Obykle se prodavaly v giranu, pripadne musis sehnat nekoho kdo je ma. Takhle je to spravne, na prislusnym lvlu musis jit na prislusny misto podle rasy/classu a naucit se skilly. Autolearn je jen custom dodelavka pro zrychleni.